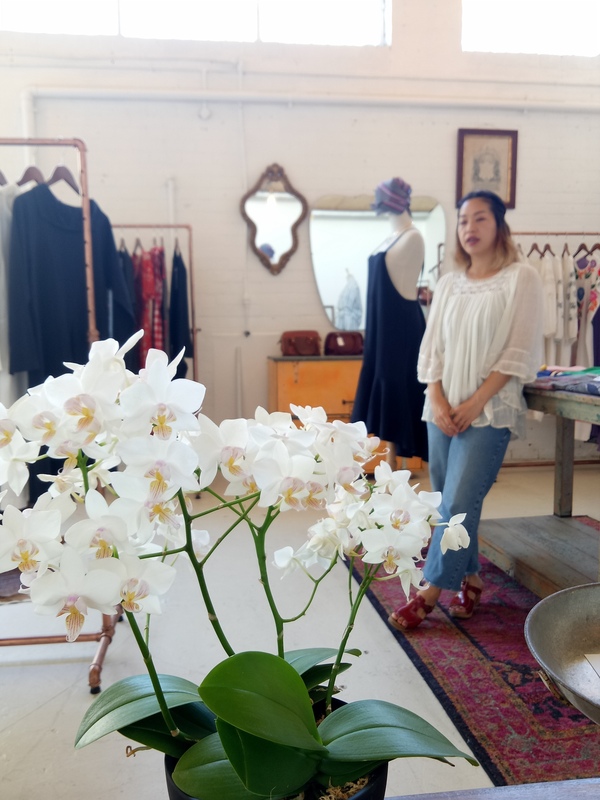 Tucked away off the main shopping strip in High Street, Northcote, you will discover this cute little Japanese gem! 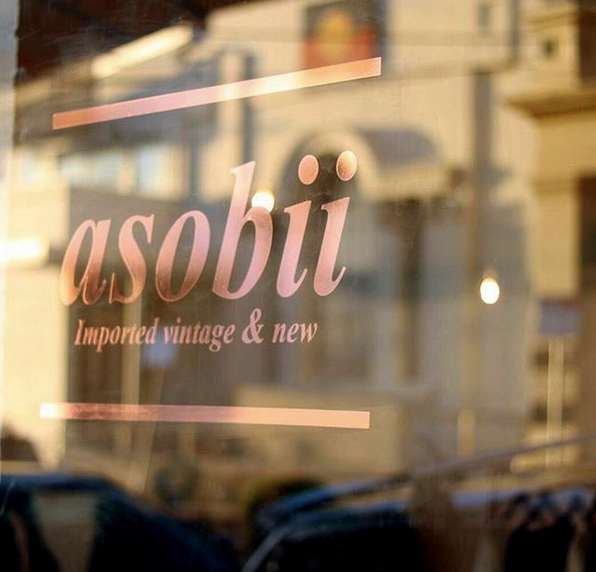 Located just opposite the Northcote Town Hall is Asobii, which means "playful" in Japanese. It is a boutique shop selling vintage fashion sourced directly from Japan and pre-loved fashion brands originally from the US, Canada or Europe. 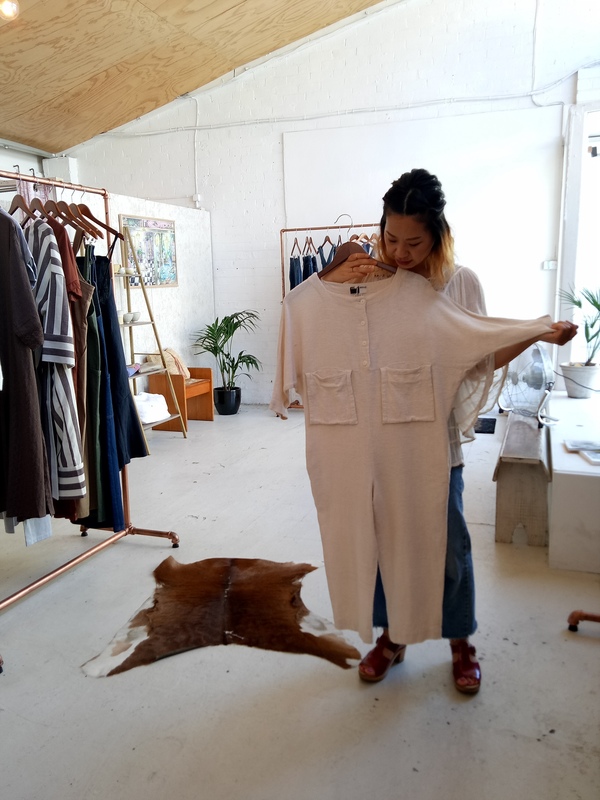 You will find some new items as well as accessories, handbags, jewellery and ceramic handmade pieces from Amakusa Island in southern Japan. Hitomi was always interested in fashion and in particular, vintage. 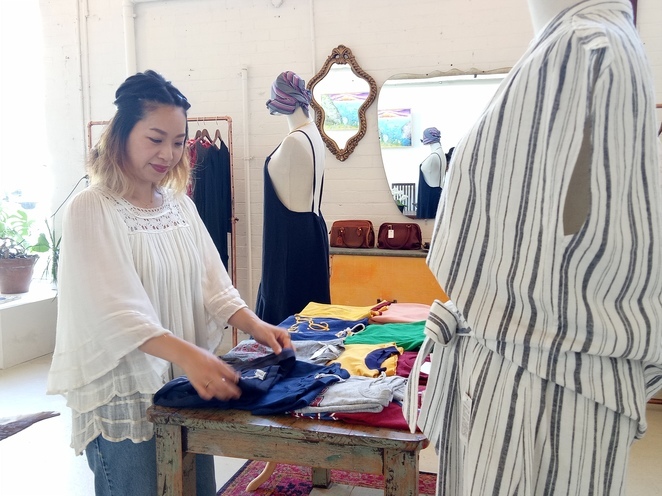 In Tokyo, she worked in a vintage shop and got the opportunity to go to LA as a shop buyer and shop manager. "This is what really opened my eyes and I gave me the vintage bug there I think. 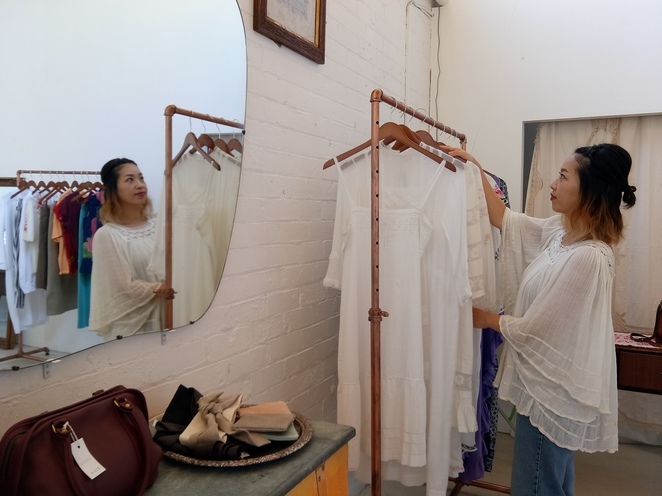 I always wanted my own little shop and there aren't cool vintage shops in Melbourne that I like, so I thought, 'why don't I just do it', so I did!" 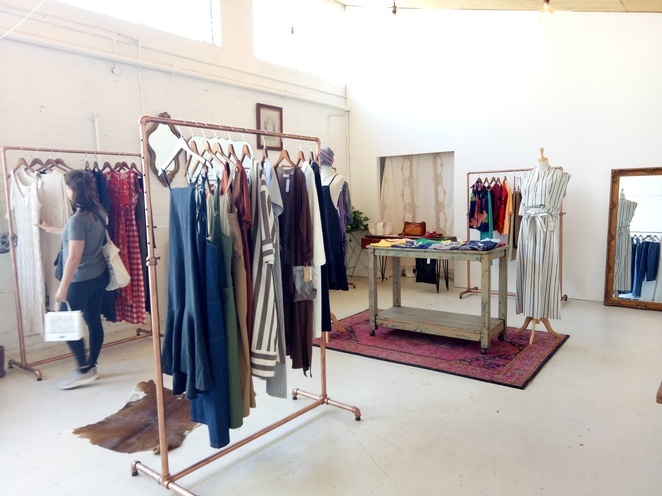 Open about six months, the boutique has a minimalist design with copper vintage clothing racks and a gallery feel, which allows the clothing on display to stand out and get noticed! 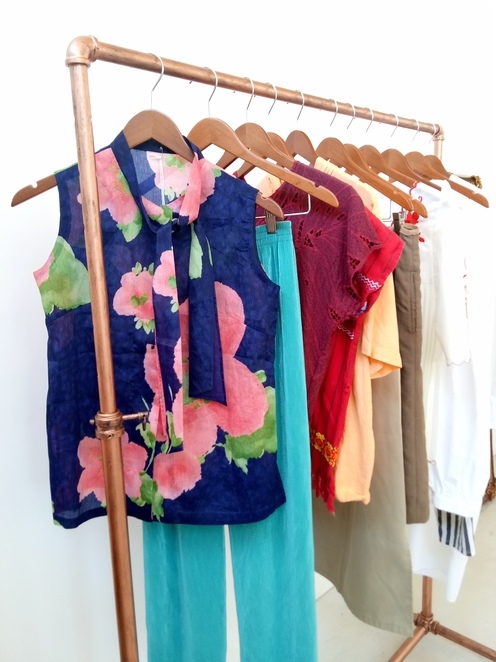 The store reflects Hitomi's passion for new and old - a combination of easily wearable pieces and something a bit more out there! Most of the garments are sourced from Japan. On each buying trip, Hitomi goes through thousands of pieces which she carefully selects and she enjoys finding treasures like Issey Miyake! Fashion pieces which Melbourne girls would wear! For the new fashion pieces, she selects garments she knows that Melbourne girls would like to wear. Choices are made by design, fabric and quality, not so much the brand name. Hitomi is working on building better relationships with some Japanese clothing makers "I'd like to support something locally made, but it is hard to find one - hopefully in the future!" To expand Asobii's product offering, Hitomi also stocks some art as well as handcrafted jewellery, mostly from Japanese designers like 'Sussus' and 'Wunderkammer'. 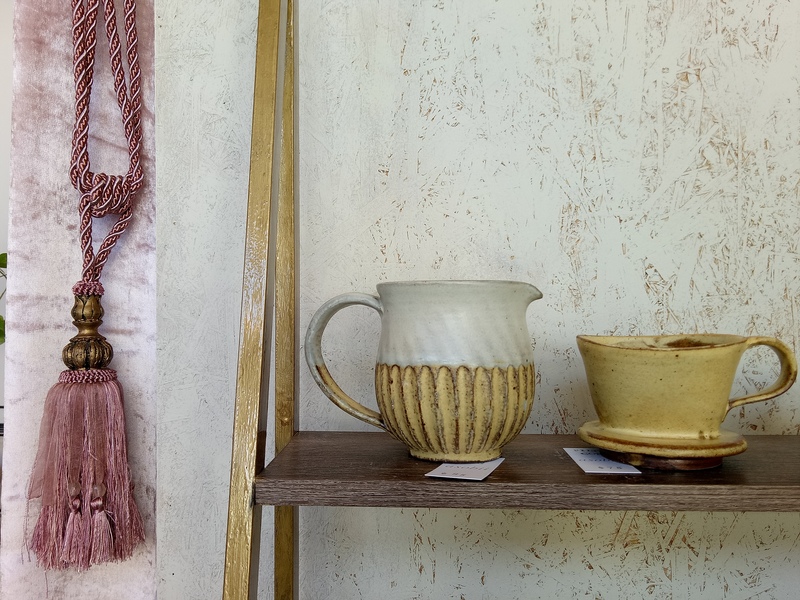 Delicate ceramic pieces adorn the shelves and come from Hitomi's hometown of Kumamoto. The artisan makers are boutique and everything is handmade. The artisans often locally source clay from the area in which they live, Amakusa island. 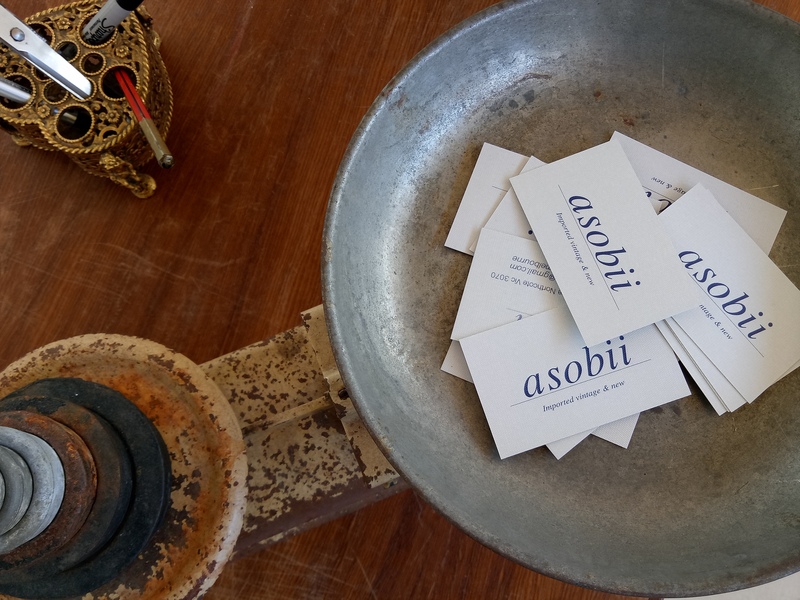 Opening Asobii in Melbourne is Hitomi's contribution to help recycle and reuse clothing, whilst preserving our environment. Hitomi's husband is a part-time children's book illustrator and you can view some of his drawings on the walls, which are available for sale. His art is detailed, fantastical and focused on nature. What an interesting little shop. I love the minamalist look and the mix of art and fashion, which in a way are both the same thing.